We picked up a box of Roca Thins for 99 cents at the store, which is located right outside the factory. They have a variety of deeply discounted goods like: 2 lbs of the seasonal Candy Cane Roca for 99 cents, Cappuccino and Mint (respectively) Mountain Bars for 10 cents or a bag of Macadamia Roca for 50 cents. My arteries are groaning, but my wallet is happy. 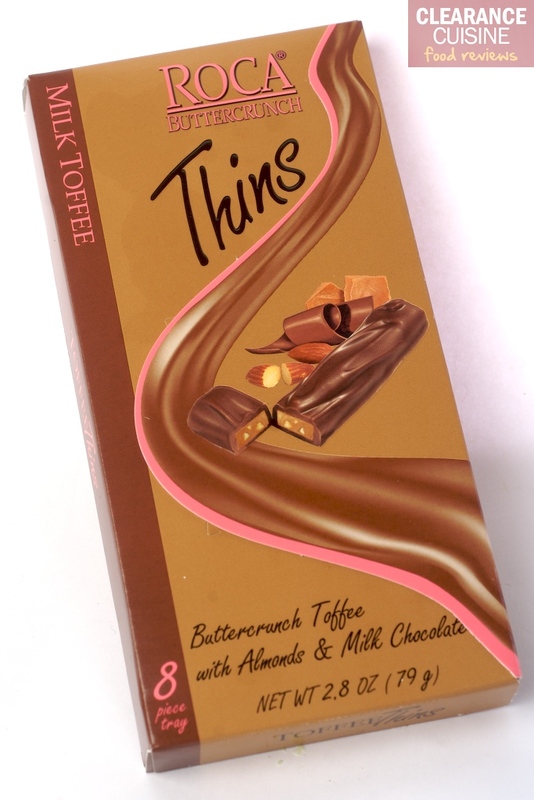 I find it a bit ironic, and perhaps slightly cruel, that a product consisting of buttery toffee mixed with almond and covered in milk chocolate could possibly use the word “thin” in the name. 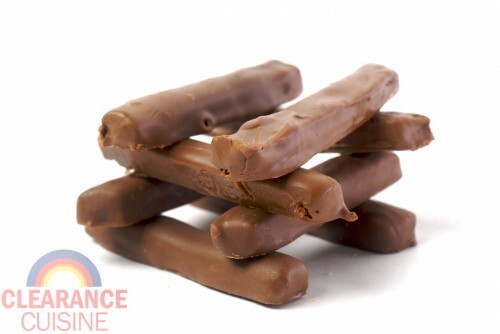 And while Milk Toffee Roca Buttercrunch Thins area a little less caloric than their log-like mainstream counterpart Almond Roca, per square inch you’re probably getting about the same wonderful thigh-widening delicious calories. Coincidentally, as I write this post, I am currently on a bus that is passing the factory with the majestic Tacoma Dome a stone’s throw away. I gaze wistfully out the window as the rain falls in sheets outside. It is truly a Northwest Moment®/potential indie movie with a soundtrack by Death Cab for Cutie. I like to imagine there’s Oompa Loompa-like workers inside the factory, but instead of green hair and orange skin, they’re pasty white with scruffy hipster facial hair and glasses. This entry was posted on Wednesday, May 11th, 2011 at 7:59 pm	and is filed under Food. You can follow any comments to this entry through the RSS 2.0 feed. Both comments and pings are currently closed.